The Internet of Things is rarely discussed without the conversation steering to data and the new Data Economy. The intelligence and value from an IoT system is based on what can be learned from the data. Sensors are the source of IoT data. Driven by new innovations in materials and nanotechnology, sensor technology is developing at a never before seen pace, with a result of increased accuracy, decreased size and cost, and the ability to measure or detect things that weren’t previously possible. In fact, sensing technology is developing so rapidly and becoming so advanced that we will see a trillion new sensors deployed annually within a few years. A better term for a sensor is a transducer. A transducer is any physical device that converts one form of energy into another. So, in the case of a sensor, the transducer converts some physical phenomenon into an electrical impulse that can then be interpreted to determine a reading. A microphone is a sensor that takes vibrational energy (sound waves), and converts it to electrical energy in a useful way for other components in the system to correlate back to the original sound. Another type of transducer that you will encounter in many IoT systems is an actuator. In simple terms, an actuator operates in the reverse direction of a sensor. It takes an electrical input and turns it into physical action. For instance, an electric motor, a hydraulic system, and a pneumatic system are all different types of actuators. 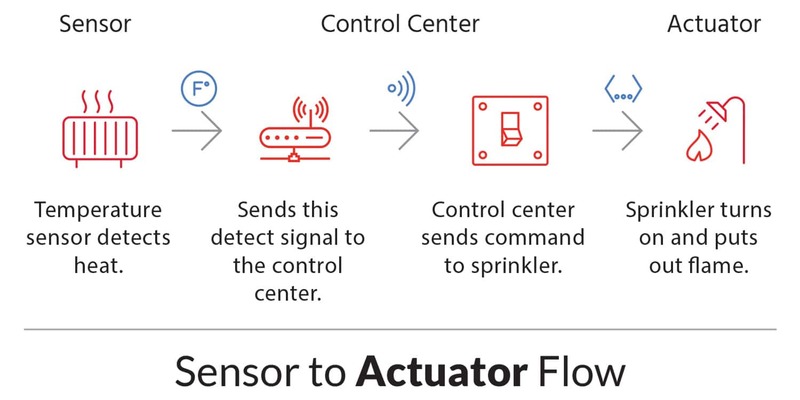 In a typical IoT system, a sensor may collect information and route to a control center where a decision is made and a corresponding command is sent back to an actuator in response to that sensed input. Later, we will discuss where the control center resides in the greater IoT system. 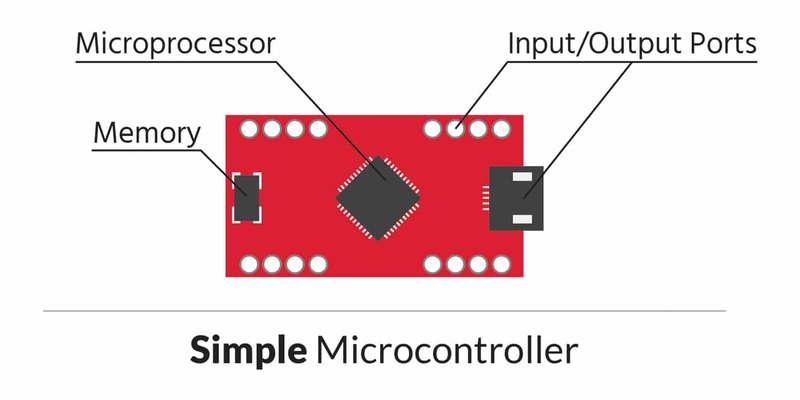 There are many different types of sensors in an IoT system. Flow sensors, temperature sensors, voltage sensors, humidity sensors, and the list goes on. In addition, there are multiple ways to measure the same thing. For instance, airflow might be measured by using a small propeller like the one you would see on a weather station. Alternatively, as in a vehicle measuring the air through the engine, airflow is measured by heating a small element and measuring the rate at which the element is cooling. Different applications call for different ways of measuring the same thing. Imagine that you are a bar owner and you want to measure the amount of beer coming out of one of your taps. One way you might do this is to install a sensor in line with the line that runs from the keg of beer to the tap. This sensor would most likely have a small impeller inside of it. When the beer ran through the sensor, it would cause the impeller to spin, just like the propeller on a weather station. When the impeller spins, it will send a stream of electrical impulses to a computer. The computer will interpret the impulses to determine how much beer is flowing through. Sounds simple, right? This is where sensors get interesting. If you look back at our description, you’ll see that we never directly measured the amount of beer flowing through the sensor; we interpreted it from a stream of electrical impulses. That means that we must first figure out how to interpret it. Calibration. To calibrate the sensor, we’d have to take a container with a known carrying capacity, say, a pint glass. Then we’d have to fill that container under a variety of conditions to determine what the electrical pulse signal looked like. For instance, the first pour off a new keg might tend to have more foam, which would read differently than a pour from the middle of the keg that was all beer. It’s only through repeated trials and a lot of data that we gain confidence that we can interpret the data and determine how much beer was poured. Once the correlation is well known, a protocol can be developed to always assure the sensor is reading correctly. This is called calibration. Reputable manufacturers will deliver fully calibrated devices and provide instruction on how to re-calibrate to verify sensor accuracy. The accuracy of sensed data is paramount, since you will make mission-critical decisions based on later analysis of the data, which will hold little value if the data is wrong. Once you have your device engineering completed, you will be ready to prototype your IoT System which is most effective with an IoT cloud solution that can ingest device data and provide a way to query or visualize the data. 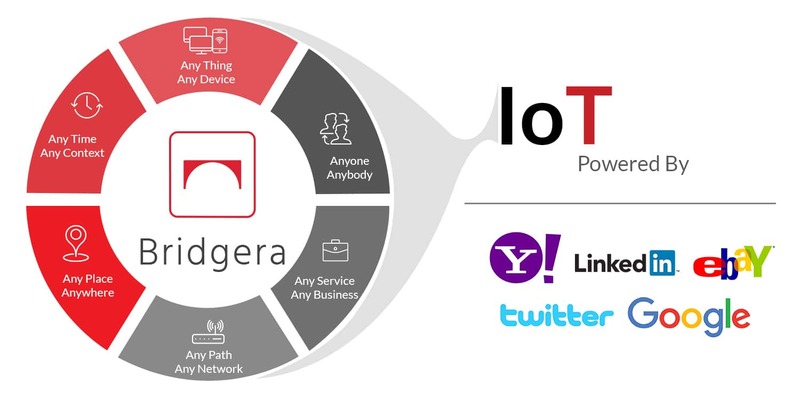 Bridgera IoT is a cloud platform and a service that allows companies to produce something quickly that works, without the compromise of a poorly built back end or generic UI, therefore enabling a more meaningful demonstration and supporting a more effective test/validation effort. Then, most importantly, converting right into a highly scalable model when ready.